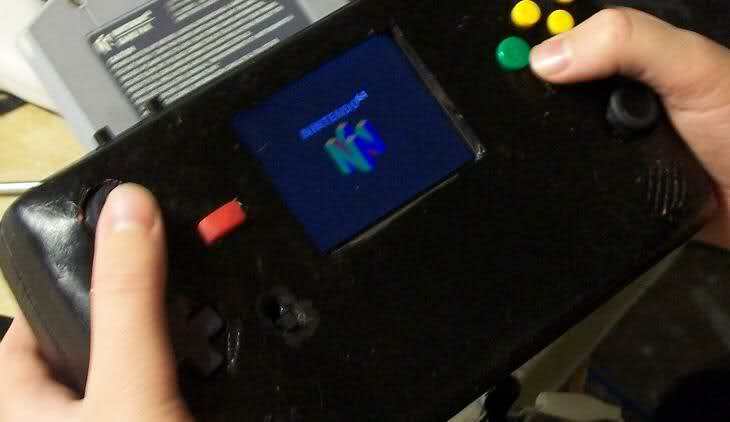 YAP64 was the Nintendo 64 portable I built years ago. Features include stereo sound, a 3.5″ LCD screen, twin analog sticks (switchable), a non-working docking connector, and the theoretical ability to play and charge at the same time (it never worked). YAP64 really wasn’t very good. It was huge, it was heavy, it was a battery pig, and it broke easily. It suffered from feature creep, procrastination, and a general lack of skills. Still, it was a tremendous learning experience, and I later built stuff that looked and worked much better. I had intentions of building another, vastly improved portable, but I didn’t get very far before losing interest. I still have the parts, but I’ve kind of lost interest in retro gaming, lost interest in hardware hacking, and own a stack of handheld computing devices that can emulate N64 and beyond. There is another portable called YAP64 out there. This is the original, but I won’t blame you for accepting the substitute.